Along with being Veteran's Day, and the day that WWI ended, it's also Polish Independence Day. And, as is tradition for Corvus Belli, they're having themselves a one-day special giveaway. As usual, there's a question and a hashtag to go with it. The question is, "What would be your reply if a Krakot shout 'Keritok no Bekukt!' to you?" 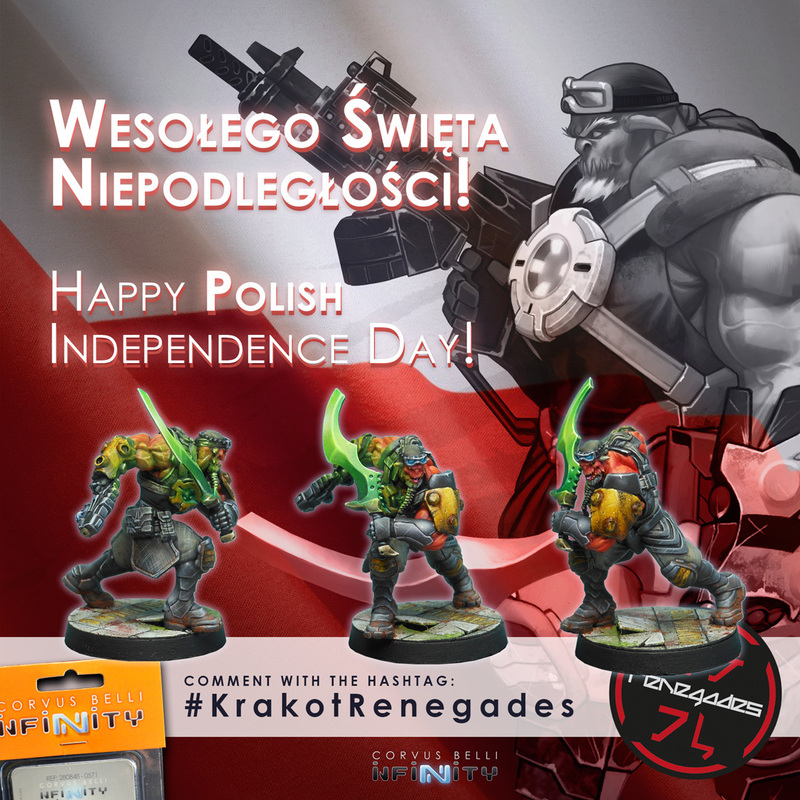 The hashtag is #KrakotRenegades. You only have today to enter, with the winner announced tomorrow. Good luck to you.